Welcome to Word of Faith Christian Center of Knoxville, Tennessee! We are a diverse family church with a kingdom of God mindset. Our clear mission is to establish His Kingdom in all the earth through – “Esteeming the Word, Empowered to Serve, Embracing the World” – this focus is expressed in every aspect of our service’s and outreach. Sunday morning services are filled with joyous praise and worship. our Bible Studies will enrich your life with biblical principles sure to uplift your heart with praise and illumination through the light of God’s Word. It is our calling and purpose to minister to the total man: Spirit, Soul, and Body. God has equipped us with the privilege to be an authorized representative of His Power, His Spirit, and His Anointing to have an impact both locally and abroad. At Word of Faith Christian Center, we are ready to meet the spiritual and social needs of your family. We invite you to bring your family and friends to a place of diverse fellowship, learning, and love! Word of Faith Christian Center – Knoxville is an autonomous church that focuses on the importance and benefits of “Teaching God’s Word.” Through the development of learning how to apply the principles learned for successful living found in the Word of God, individuals discover the true meaning of victorious life in Christ. This wonderful change results in the individual(s)s being “Empowered to Serve.” Empowered Citizens leads to strong families, and strong families result in empowered communities. Our mission is to challenge Christians of every race, creed or color to be the “Winning Edge” in their neighborhoods. “Touching the World” is the love of God being experienced person by person, home by home, street by street, city by city, state by state, and nation by nation! As part of a much larger family of churches (Word of Faith International Ministries), Word of Faith Christian Center, Knoxville, TN is intimately connected with other churches across the United States including Nashville, TN, Arizona, Pennsylvania, Mississippi, Georgia, Florida, and St. Thomas, Virgin Islands. Larry and Diane Keith are the senior pastors of Word of Faith Christian Center Knoxville, TN. They have served in full time ministry for over 30 years Larry received his masters degree in Theology from Life Christian University, Tampa, Florida. The Keith’s were commissioned by God to the Knoxville Region. 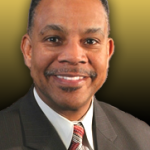 Pastor Henry Coles Jr. is the senior pastor of the Faith Life Church in Antioch,TN and is also the founder of Word of Faith Christian Center Knoxville. Pastor Keith A. Butler and his wife, Deborah are founders of Word of Faith International Ministries, located in Southfield, Michigan. *The Bible is inspired Word of God. * Salvation has been provided through Jesus Christ for all men. *The Holy spirit upon is an experience subsequent to salvation, and that it is the will of God that all be empowered. *The church consists of all those who have received Jesus Christ as their personal Savior. *There shall be a bodily resurrection of the just and the unjust. *In the personal, visible, imminent return of Jesus Christ. All weddings at Word of Faith are Christian worship Services. The Word of Faith Church restricts the use of its ministry facilities to the ministry’s religious purposes only. Through the line upon line, precept upon precept teaching, the word of God will guide believers into a living experience with Christ. The value of daily life in His Word will cause individuals to develop an understanding that Bible is the most important book in their lives. The benefits of a life in Christ with the fullness of His Spirit compels all believers to serve mankind with all our hearts, souls, and minds. This power is an experience that provides a fullness to life personally and as a united community. The true experience of God’s love in His people causes believers to do the works of Jesus. The motive for caring sharing, and doing good for all mankind becomes the desire of each person. This allows the vision of God for men, women, boys, and girls to receive salvation worldwide to be accomplished.